The Pale White capture twists and turns in their music. From their fired up lyrics to their burning raw guitar, the three piece build up tension to rip it to shreds. There’s a husk to the vocal that comes only from real ignition from within, and a thrilling danger in their prowling rock songs. Following latest release, ‘Turn It Around’ – drowning in blues and relishing in classic influences with a crunching edge, this is their culture. Adam: This one had a weird writing process! Tom had sent me a short recording of him messing around with an idea. It was a slow paced, bluesy version of the verse. Tom: Weirdly it had this sort of Grizzly Bear vibe. I recorded it in my living room and sent it over to Adam which I sometimes do when I have an idea I think he could take to an exciting place. Adam: I built on it and sent him a new version back. And within the time of him responding saying he liked it, I had sent him like three more updated versions! It was one of those moments where something just catches you, you get a spark and you just keep adding to it. I remember writing the lead hook and thinking ‘phwoar, this is a gooden!’. We jammed it a few times in the rehearsal room and then forgot about it for months. Some of our best ideas get lost in the abyss until we dive down and recover them. Tom: We played it for the first time at one of our home town headline shows and we were sort of nervous to play it as we’d only just settled on an arrangement days before. Adam and I agreed before we went on stage that if the show was going well we’d throw it in and see what happened. I remember people were throwing themselves all over and hanging from the lights, easily one of our best shows, and we just looked at each other like “Go on then, we’ll play it”. The response was amazing and people kept asking what it was called when we finished. We knew it was going to be a stable of the set from then on. Tom: Being in a relationship in the Facebook age is quite an odd one, but its kind of all we’ve known. Social media seems to be the epicentre of some peoples relationships. If it isn’t Facebook official, is it even a thing, is something you hear a lot. You don’t have to subscribe to that though, its pretty easy to just switch off from that and do your own thing. You should be able to be comfortable enough in your relationships to not have to be validated by other peoples comments or knowledge of what you’re doing. Tom: I really don’t see a divide. I think if you’re making good music people will take note and listen regardless of where you’re from. A lot of our biggest supporters and friends involved in music are based in London. When we play in London, its always an opportunity to catch up with bands that we’ve become friends with and people we’ve met. I suppose we’ve just had good experiences when it comes to the people we’ve met and been fortunate enough to mix with lovely people. Obviously we are from Newcastle which is pretty North! It’s an amazing city. I think a lot of people are surprised when they come here and they get to see everything that’s going on. The north east is an area that’s pretty rich with music and culture, even the scenery is pretty breathtaking in certain places! There’s a lot on offer here. I feel like that is pretty overlooked in favour of stock footage of grey industrial landscapes sometimes. There’s no feeling that compares to crossing the Tyne Bridge after a long few days in the van and knowing you’re home. Adam: I could go with the obvious choices like ‘Day Tripper’ by The Beatles or Zeppelin’s ‘Kashmir’, which are undeniably iconic! But I must say, ‘Antiseptic’ by Tigercub is one of the best riffs I’ve ever heard. Bravo! I have no idea how The Beatles remembered their song ideas to show the lads the next day. If I don’t hum it into my phone recorder within 5 minutes it’s gone forever. Adam: It has to be Tynemouth Surf Café! Café by day, venue by night. They have an ethic which I’ve never seen before. They do it for the sheer love of live music and give bands 100% of the door profit even if they’ve spent money on promotion or sound hire. On top of that they treat you like you’re playing Wembley on the night of the gig. Tom: Surf Cafe is a special place. Right on the edge of the beach, so the views are amazing. It doubles up as a really intimate and atmospheric venue that can host stripped back shows to becoming the place for the loudest rowdiest shows going. People have lost teeth in those moshpits! Adam: Another place I must mention is Jumpin’ Jacks. An amazing up and coming small independent venue on top of my favourite gaff in Newcastle – The Dog & Parrot. I may be bias but the toon has got it going on! 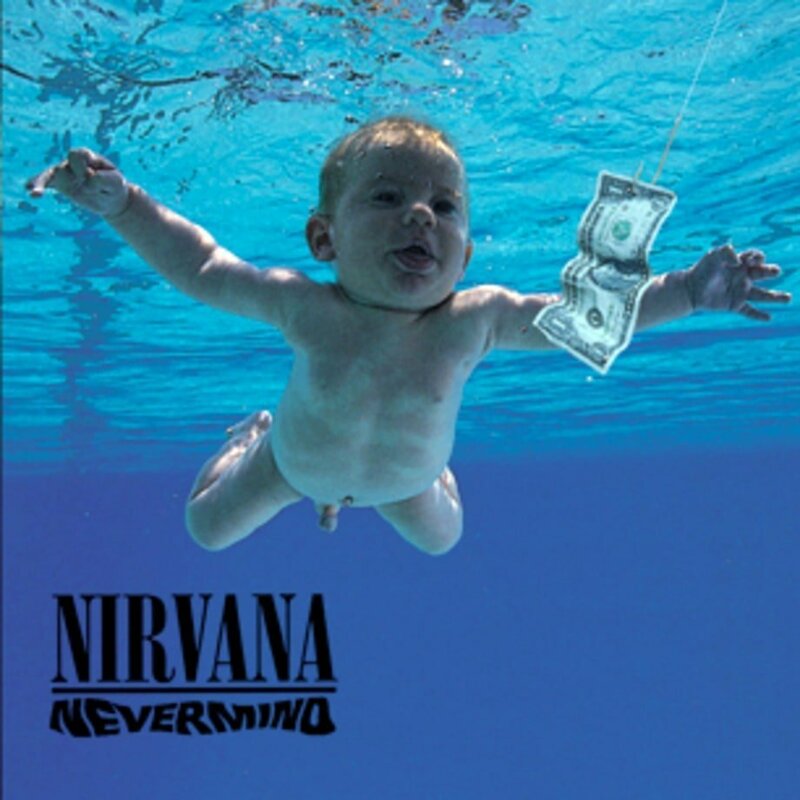 Adam: My dad bought me Nevermind by Nirvana on CD when I was around 8 for my brand spanking new Sony Walkman (no one likes a show off I know…). This is the only CD I had for it and didn’t need anything more. Tom: I remember the first CD I bought with my own money was Sabotage by Black Sabbath. My Mam had this battered old CD called The Greatest Rock Album in the World Part 1 in the car and that had ‘Paranoid’ on it, and I remember just thinking he had the coolest voice. I went to this record shop, that’s sadly not there anymore, and saw the cover where they are all stood in front of the mirror in these ridiculously flamboyant clothes! I went to the counter and the guy was shocked that I was buying it as I was only about 12. That made me feel pretty cool. Adam: We’ve always dreamt of holding our own album in our hands. That’s a big ambition for us. Tom: I used to spend hours in HMV just reading the track listings on peoples albums and examining the artwork so physically holding our own music is something I can’t wait to do. We’ve actually got a physical releasing coming out later in the year and that’s going to be an exciting day when we can hold it. Tom: I love Walter White from Breaking Bad. Bryan Cranston is an amazing actor. What he did through that show, the way he built the character and some of the morally questionable things he did and still had the audience rooting for him, I don’t think there are many actors that are capable of doing that. His evolution from clean cut suburban dad to basically Scarface was unbelievable. I wish I hadn’t seen that show so I could watch it with fresh eyes from the start again. I know that everyone in the band is a fan of that show.